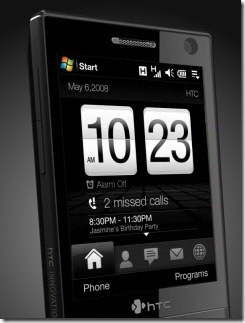 During my recent trip to Hong Kong - I popped into a mobile device shop and took a quick look at the HTC Touch Diamond. The phone looks pretty good - and I was impressed (and I'd really really like to see something that can just about compete with the Apple iPhone). However for me at least, there has been a missing feature in the Windows Mobile dialer from the early versions to the present. +1 212 1111 1111 (notice the +1 for North America, 212 for New York) - you swap the + sign for the discount calling code. From here in Thailand - if I use 009 1 212 1111 1111 with the 009 prefix - I get a whopping 30% discount with no strings attached. I seem to remember similar schemes in the states using Sprint and AT&T calling codes as well. Here's the problem. On every Nokia mobile phone I've ever owned, there has always been an option to 'Use Number'. Which means that when you've looked up the contact you want to call - instead of dialing - you choose 'use number' and it loads the number into the dialer, where you can then make ad-hoc changes to the number before you dial. As far as I can tell, and after experimenting with the Touch Diamond, this feature still doesn't exist in the Windows Mobile dialer. There is no way to load the number into the dialer, and then edit the number before you dial. It would be time consuming to edit the contact first - add the calling code prefix, save the contact and then dial - only to have to change the contact details again the next time I want to use a different discount calling code, or revert to the standard international dialing prefix. There may be more than one discount code I'd like to choose from as well - so this isn't a global setting - what I really need is a way to edit the number before I dial without having to change the contact details. Windows Mobile if you're out there - I want to love you, I want to use you - but I just can't until this is fixed. I've looked for third party applications to try and solve this problem before, but I think it's more fundamental than that (irrespective of which, the above links don't solve the problem). You should simply be able to load a number into the dialer from a contact - and then edit it before you dial if you want to. Doesn't the Dialer Autoprefix feature in settings handle this? Almost - but if I'm using a different code (there are a few to choose from here , 008, 009, depending on who's offering the best deal at the time), then I have to change this setting again before I dial. Also if the line quality of the discount prefix is bad then I might decide to go ahead and dial straight-out using regular + prefix only. @rrad - thanks for that - will take a look.